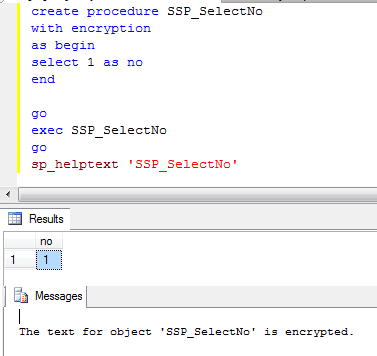 The keyword used to encrypt the stored procedure in sql server is "with encryption". When you create a stored procedure with this keyword the stored procedure source code cannot be seen anymore.So please save a copy of your stored procedure before encrypting it. This will be useful when the sql server is installed at the client end and can avoid source code theft to some extent.